Files with M4V extension are used by Apple DRM copyright protected. These M4V videos can be used exclusively in your iTunes or on your iPhone, iPod and other apple devices. If you want to watch iTunes DRM-ed M4V files on Android phone, PS4, Xbox,etc, firstly you have to remove DRM protection and then convert M4V to MP4 with the conversion tool recommended in this guide. Convert iTunes M4V to MP4, not other formats, why? Because MP4 is the most popular video format that can be applied to most mobile devices. The following article is mainly to tell us how to convert M4V to MP4 easily. 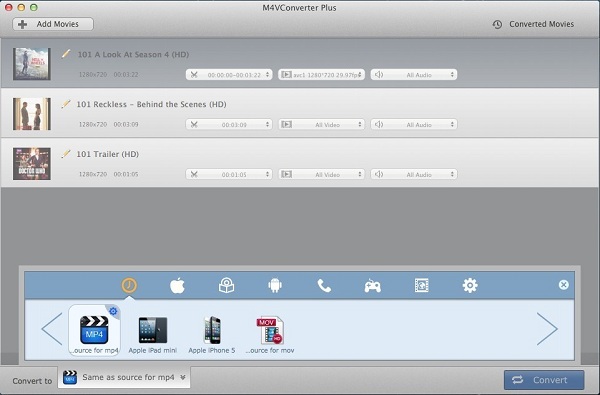 Here M4V Converter Plus is highly recommended for you. It is an all-in-one iTunes DRM Media Converter. With it, you can legally remove DRM from iTunes protected files bt converting them to unprotected MP4 easily and quickly. Main features of M4V Converter Plus you can see below. Legally remove DRM protection from iTunes M4V videos. Easily convert purchased M4V to unprotected MP4 and any other plain formats. 30X faster speed to convert iTunes HD movies to MP4 with high output quality. Optimized presets for playback on iPhone, Android tablets, PSP, Xbox and YouTube network platforms. Customize the output video format according to your needs. 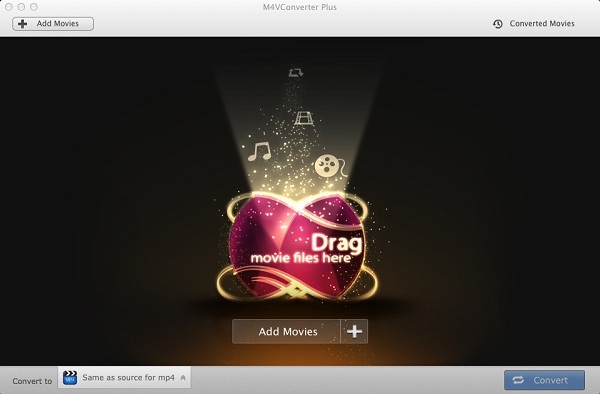 STEP 1: Free download M4V Converter Plus. STEP 2: Install and launch it, you will see the easy-to-use interface. After you have installed M4VConverterPlus trial version, you can only convert one minute of each video file you want to convert. If you have bought a license, and have got your key code. You may click here to read how to register to be full version. STEP 3: Add the M4V files to the program. Click "Add Movies" button on the top-left to import the video files you want to convert. The software will open the iTunes movies library by default. Select the files and then click "Add". In the "Convert to" profile drop-down list, the software supports multiple output formats, select the "Same as source for mp4". Of course, you can also set the output files parameters and other settings before converting M4V to MP4 files. 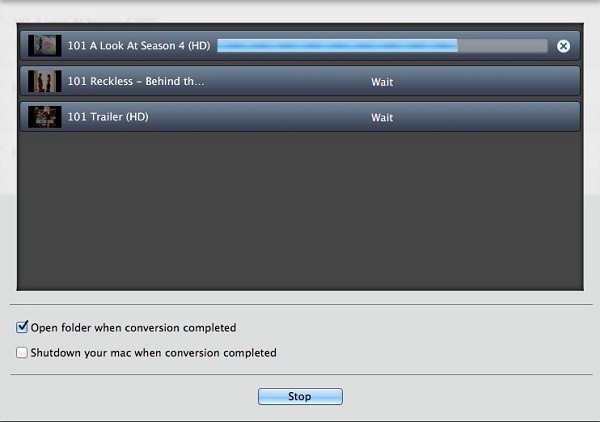 STEP 5: Click "Convert" to start converting M4V to MP4 progress. OK, we have finished the whole conversion of M4V to MP4. You can open "Converted Movies" folder to play the converted iTunes videos to check the output quality. 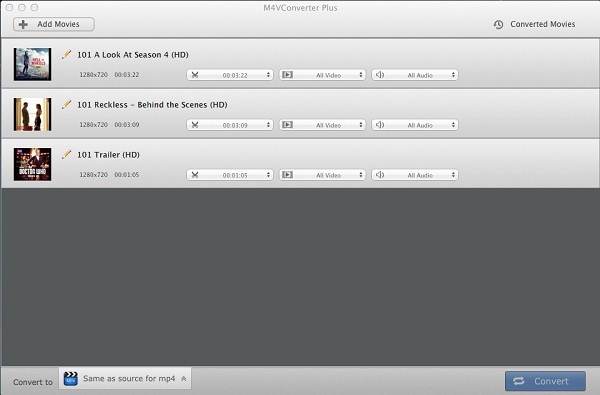 Apart from convert M4V to MP4, M4V Converter Plus can also support you converting iTunes M4V to MOV, WMV, FLV, AVI, MPEG-1 and so on. Just free download and enjoy it.